With the character of a Mercedes-Benz SUV, a sporting soul and a compact footprint, the redesigned 2018 GLA is agile, adventurous and adaptable. It's at home in the city, eager when you're far from home, and a perfect fit for today, and tomorrow. Taut, trim and muscular, the GLA is big on style even in its smallest details. New front and rear styling is fresh yet iconic. Every line is strong yet refined, true to the character within. The GLA's sensible footprint conceals a cabin that's generous with legroom, headroom and luxury. And while it's solid and strong, it also slips through the wind efficiently and quietly. With the available new HANDS-FREE ACCESS, just a swipe of your foot under the bumper can open the power liftgate. Which opens to a generous space: 43.6 cu ft of cargo room with the rear seats folded, or a sedan-like trunk with all five seats in use. From its turbo to its tight turning circle, the GLA is a quick-witted, surefooted, fun-loving SUV powered by a legacy of performance innovation. The 7G-DCT transmission's offers the smooth refinement of an automatic with sporty reflexes. Its dual-clutch design shifts faster than any human. Whether you need to be connected or want to feel protected, the GLA boasts advanced technology that's designed to enhance your life on the go. The vivid 8in color display is not only larger, it also brings you a wide range of ways to stay entertained and informed. From Bluetooth® audio streaming to available Apple CarPlay and Android Auto, your GLA has you covered. - **Vehicle Options listed are when the unit was originally built. Please confirm the accuracy of the included equipment by calling the dealer prior to purchase. - **Vehicle Options listed are when the unit was originally built. Please confirm the accuracy of the included equipment by calling the dealer prior to purchase. - **Vehicle Options listed are when the unit was originally built. Please confirm the accuracy of the included equipment by calling the dealer prior to purchase. - **Vehicle Options listed are when the unit was originally built. Please confirm the accuracy of the included equipment by calling the dealer prior to purchase. - **Vehicle Options listed are when the unit was originally built. Please confirm the accuracy of the included equipment by calling the dealer prior to purchase. - **Vehicle Options listed are when the unit was originally built. Please confirm the accuracy of the included equipment by calling the dealer prior to purchase. - **Vehicle Options listed are when the unit was originally built. Please confirm the accuracy of the included equipment by calling the dealer prior to purchase. - **Vehicle Options listed are when the unit was originally built. Please confirm the accuracy of the included equipment by calling the dealer prior to purchase. - **Vehicle Options listed are when the unit was originally built. Please confirm the accuracy of the included equipment by calling the dealer prior to purchase. - **Vehicle Options listed are when the unit was originally built. Please confirm the accuracy of the included equipment by calling the dealer prior to purchase. - **Vehicle Options listed are when the unit was originally built. Please confirm the accuracy of the included equipment by calling the dealer prior to purchase. - **Vehicle Options listed are when the unit was originally built. Please confirm the accuracy of the included equipment by calling the dealer prior to purchase. - **Vehicle Options listed are when the unit was originally built. Please confirm the accuracy of the included equipment by calling the dealer prior to purchase. - **Vehicle Options listed are when the unit was originally built. Please confirm the accuracy of the included equipment by calling the dealer prior to purchase. - **Vehicle Options listed are when the unit was originally built. Please confirm the accuracy of the included equipment by calling the dealer prior to purchase. - **Vehicle Options listed are when the unit was originally built. Please confirm the accuracy of the included equipment by calling the dealer prior to purchase. - **Vehicle Options listed are when the unit was originally built. Please confirm the accuracy of the included equipment by calling the dealer prior to purchase. - **Vehicle Options listed are when the unit was originally built. Please confirm the accuracy of the included equipment by calling the dealer prior to purchase. - **Vehicle Options listed are when the unit was originally built. Please confirm the accuracy of the included equipment by calling the dealer prior to purchase. - **Vehicle Options listed are when the unit was originally built. Please confirm the accuracy of the included equipment by calling the dealer prior to purchase. - **Vehicle Options listed are when the unit was originally built. Please confirm the accuracy of the included equipment by calling the dealer prior to purchase.With the character of a Mercedes-Benz SUV, a sporting soul and a compact footprint, the redesigned 2018 GLA is agile, adventurous and adaptable. It's at home in the city, eager when you're far from home, and a perfect fit for today, and tomorrow. Taut, trim and muscular, the GLA is big on style even in its smallest details. New front and rear styling is fresh yet iconic. Every line is strong yet refined, true to the character within. The GLA's sensible footprint conceals a cabin that's generous with legroom, headroom and luxury. And while it's solid and strong, it also slips through the wind efficiently and quietly. With the available new HANDS-FREE ACCESS, just a swipe of your foot under the bumper can open the power liftgate. Which opens to a generous space: 43.6 cu ft of cargo room with the rear seats folded, or a sedan-like trunk with all five seats in use. From its turbo to its tight turning circle, the GLA is a quick-witted, surefooted, fun-loving SUV powered by a legacy of performance innovation. The 7G-DCT transmission's offers the smooth refinement of an automatic with sporty reflexes. Its dual-clutch design shifts faster than any human. Whether you need to be connected or want to feel protected, the GLA boasts advanced technology that's designed to enhance your life on the go. The vivid 8in color display is not only larger, it also brings you a wide range of ways to stay entertained and informed. From Bluetooth® audio streaming to available Apple CarPlay and Android Auto, your GLA has you covered. - **Vehicle Options listed are when the unit was originally built. Please confirm the accuracy of the included equipment by calling the dealer prior to purchase. - **Vehicle Options listed are when the unit was originally built. Please confirm the accuracy of the included equipment by calling the dealer prior to purchase. - **Vehicle Options listed are when the unit was originally built. Please confirm the accuracy of the included equipment by calling the dealer prior to purchase. - **Vehicle Options listed are when the unit was originally built. Please confirm the accuracy of the included equipment by calling the dealer prior to purchase. - **Vehicle Options listed are when the unit was originally built. Please confirm the accuracy of the included equipment by calling the dealer prior to purchase. - **Vehicle Options listed are when the unit was originally built. Please confirm the accuracy of the included equipment by calling the dealer prior to purchase. - **Vehicle Options listed are when the unit was originally built. Please confirm the accuracy of the included equipment by calling the dealer prior to purchase. - **Vehicle Options listed are when the unit was originally built. Please confirm the accuracy of the included equipment by calling the dealer prior to purchase. - **Vehicle Options listed are when the unit was originally built. Please confirm the accuracy of the included equipment by calling the dealer prior to purchase. - **Vehicle Options listed are when the unit was originally built. Please confirm the accuracy of the included equipment by calling the dealer prior to purchase. - **Vehicle Options listed are when the unit was originally built. Please confirm the accuracy of the included equipment by calling the dealer prior to purchase. - **Vehicle Options listed are when the unit was originally built. Please confirm the accuracy of the included equipment by calling the dealer prior to purchase. - **Vehicle Options listed are when the unit was originally built. Please confirm the accuracy of the included equipment by calling the dealer prior to purchase. - **Vehicle Options listed are when the unit was originally built. Please confirm the accuracy of the included equipment by calling the dealer prior to purchase. - **Vehicle Options listed are when the unit was originally built. Please confirm the accuracy of the included equipment by calling the dealer prior to purchase. - **Vehicle Options listed are when the unit was originally built. Please confirm the accuracy of the included equipment by calling the dealer prior to purchase. - **Vehicle Options listed are when the unit was originally built. Please confirm the accuracy of the included equipment by calling the dealer prior to purchase. - **Vehicle Options listed are when the unit was originally built. Please confirm the accuracy of the included equipment by calling the dealer prior to purchase. - **Vehicle Options listed are when the unit was originally built. Please confirm the accuracy of the included equipment by calling the dealer prior to purchase. - **Vehicle Options listed are when the unit was originally built. Please confirm the accuracy of the included equipment by calling the dealer prior to purchase. - **Vehicle Options listed are when the unit was originally built. Please confirm the accuracy of the included equipment by calling the dealer prior to purchase. Even when still, it is evident the 2018 Mercedes-Benz CLA boasts athletic performance in its restyled, refined shape. With aggressive new styling, the CLA demands attention with 18in AMG® wheels and a chrome diamond-block grille. Available new LED headlamps integrate LED Daytime Running Lamps that arch into the side profile, giving the CLA a sporty edge. The 208hp 2.0L inline-4 engine combines turbocharging with numerous advances to deliver more power from less fuel. Its rapid-multispark ignition and high-pressure Direct Injection can fine-tune themselves in milliseconds. Twin-scroll turbo quickly spins up to 230,000 rpm to boost response, with all 258 lb-ft of torque on tap at just 1,250 rpm. An ECO Start/Stop system automatically shuts off the engine at stoplights and other idle situations, to save fuel and reduce emissions. Comfort isn't sacrificed for luxury, the CLA cabin is truly a well-crafted home created with the driver as the main focus. Deep contours and integrated head restraints spill from the front seats to the back, giving optimum support to drive and passengers. Available Apple CarPlay and Android Audio bring entirely new interfaces to the CLA's cockpit. An advanced system of 8 air bags includes dual two-stage front air bags, front side-impact head/torso air bags, dual front knee air bags, and side curtain air bags for both seating rows. The first system of its kind, ATTENTION ASSIST® continuously monitors different parameters of driving behavior, and can automatically alert the driver with both visual and audible warnings if it detects signs of drowsiness on long trips. - **Vehicle Options listed are when the unit was originally built. Please confirm the accuracy of the included equipment by calling the dealer prior to purchase. - **Vehicle Options listed are when the unit was originally built. Please confirm the accuracy of the included equipment by calling the dealer prior to purchase. - **Vehicle Options listed are when the unit was originally built. Please confirm the accuracy of the included equipment by calling the dealer prior to purchase. - **Vehicle Options listed are when the unit was originally built. Please confirm the accuracy of the included equipment by calling the dealer prior to purchase. - **Vehicle Options listed are when the unit was originally built. Please confirm the accuracy of the included equipment by calling the dealer prior to purchase. - **Vehicle Options listed are when the unit was originally built. Please confirm the accuracy of the included equipment by calling the dealer prior to purchase. - **Vehicle Options listed are when the unit was originally built. Please confirm the accuracy of the included equipment by calling the dealer prior to purchase. - **Vehicle Options listed are when the unit was originally built. Please confirm the accuracy of the included equipment by calling the dealer prior to purchase. - **Vehicle Options listed are when the unit was originally built. Please confirm the accuracy of the included equipment by calling the dealer prior to purchase. - **Vehicle Options listed are when the unit was originally built. Please confirm the accuracy of the included equipment by calling the dealer prior to purchase. - **Vehicle Options listed are when the unit was originally built. Please confirm the accuracy of the included equipment by calling the dealer prior to purchase. - **Vehicle Options listed are when the unit was originally built. Please confirm the accuracy of the included equipment by calling the dealer prior to purchase. - **Vehicle Options listed are when the unit was originally built. Please confirm the accuracy of the included equipment by calling the dealer prior to purchase. - **Vehicle Options listed are when the unit was originally built. Please confirm the accuracy of the included equipment by calling the dealer prior to purchase. - **Vehicle Options listed are when the unit was originally built. Please confirm the accuracy of the included equipment by calling the dealer prior to purchase. - **Vehicle Options listed are when the unit was originally built. Please confirm the accuracy of the included equipment by calling the dealer prior to purchase. - **Vehicle Options listed are when the unit was originally built. Please confirm the accuracy of the included equipment by calling the dealer prior to purchase. - **Vehicle Options listed are when the unit was originally built. Please confirm the accuracy of the included equipment by calling the dealer prior to purchase. - **Vehicle Options listed are when the unit was originally built. Please confirm the accuracy of the included equipment by calling the dealer prior to purchase. - **Vehicle Options listed are when the unit was originally built. Please confirm the accuracy of the included equipment by calling the dealer prior to purchase. - **Vehicle Options listed are when the unit was originally built. Please confirm the accuracy of the included equipment by calling the dealer prior to purchase.Even when still, it is evident the 2018 Mercedes-Benz CLA boasts athletic performance in its restyled, refined shape. With aggressive new styling, the CLA demands attention with 18in AMG® wheels and a chrome diamond-block grille. Available new LED headlamps integrate LED Daytime Running Lamps that arch into the side profile, giving the CLA a sporty edge. The 208hp 2.0L inline-4 engine combines turbocharging with numerous advances to deliver more power from less fuel. Its rapid-multispark ignition and high-pressure Direct Injection can fine-tune themselves in milliseconds. Twin-scroll turbo quickly spins up to 230,000 rpm to boost response, with all 258 lb-ft of torque on tap at just 1,250 rpm. An ECO Start/Stop system automatically shuts off the engine at stoplights and other idle situations, to save fuel and reduce emissions. Comfort isn't sacrificed for luxury, the CLA cabin is truly a well-crafted home created with the driver as the main focus. Deep contours and integrated head restraints spill from the front seats to the back, giving optimum support to drive and passengers. Available Apple CarPlay and Android Audio bring entirely new interfaces to the CLA's cockpit. An advanced system of 8 air bags includes dual two-stage front air bags, front side-impact head/torso air bags, dual front knee air bags, and side curtain air bags for both seating rows. The first system of its kind, ATTENTION ASSIST® continuously monitors different parameters of driving behavior, and can automatically alert the driver with both visual and audible warnings if it detects signs of drowsiness on long trips. - **Vehicle Options listed are when the unit was originally built. Please confirm the accuracy of the included equipment by calling the dealer prior to purchase. - **Vehicle Options listed are when the unit was originally built. Please confirm the accuracy of the included equipment by calling the dealer prior to purchase. - **Vehicle Options listed are when the unit was originally built. Please confirm the accuracy of the included equipment by calling the dealer prior to purchase. - **Vehicle Options listed are when the unit was originally built. Please confirm the accuracy of the included equipment by calling the dealer prior to purchase. - **Vehicle Options listed are when the unit was originally built. Please confirm the accuracy of the included equipment by calling the dealer prior to purchase. - **Vehicle Options listed are when the unit was originally built. Please confirm the accuracy of the included equipment by calling the dealer prior to purchase. - **Vehicle Options listed are when the unit was originally built. Please confirm the accuracy of the included equipment by calling the dealer prior to purchase. - **Vehicle Options listed are when the unit was originally built. Please confirm the accuracy of the included equipment by calling the dealer prior to purchase. - **Vehicle Options listed are when the unit was originally built. Please confirm the accuracy of the included equipment by calling the dealer prior to purchase. - **Vehicle Options listed are when the unit was originally built. Please confirm the accuracy of the included equipment by calling the dealer prior to purchase. - **Vehicle Options listed are when the unit was originally built. Please confirm the accuracy of the included equipment by calling the dealer prior to purchase. - **Vehicle Options listed are when the unit was originally built. Please confirm the accuracy of the included equipment by calling the dealer prior to purchase. - **Vehicle Options listed are when the unit was originally built. Please confirm the accuracy of the included equipment by calling the dealer prior to purchase. - **Vehicle Options listed are when the unit was originally built. Please confirm the accuracy of the included equipment by calling the dealer prior to purchase. - **Vehicle Options listed are when the unit was originally built. Please confirm the accuracy of the included equipment by calling the dealer prior to purchase. - **Vehicle Options listed are when the unit was originally built. Please confirm the accuracy of the included equipment by calling the dealer prior to purchase. - **Vehicle Options listed are when the unit was originally built. Please confirm the accuracy of the included equipment by calling the dealer prior to purchase. - **Vehicle Options listed are when the unit was originally built. Please confirm the accuracy of the included equipment by calling the dealer prior to purchase. - **Vehicle Options listed are when the unit was originally built. Please confirm the accuracy of the included equipment by calling the dealer prior to purchase. - **Vehicle Options listed are when the unit was originally built. Please confirm the accuracy of the included equipment by calling the dealer prior to purchase. - **Vehicle Options listed are when the unit was originally built. Please confirm the accuracy of the included equipment by calling the dealer prior to purchase. Polar Silver Metallic 2018 Mercedes-Benz CLA CLA 250 FWD 7 Speed Dual Clutch DCT 2.0L I4 Turbocharged 18 5-Spoke Alloy Wheels, Heated door mirrors, Heated Front Seats, Illuminated entry, Panorama Sunroof.Odometer is 1746 miles below market average! 24/37 City/Highway MPG - **Vehicle Options listed are when the unit was originally built. Please confirm the accuracy of the included equipment by calling the dealer prior to purchase. - **Vehicle Options listed are when the unit was originally built. Please confirm the accuracy of the included equipment by calling the dealer prior to purchase. - **Vehicle Options listed are when the unit was originally built. Please confirm the accuracy of the included equipment by calling the dealer prior to purchase. - **Vehicle Options listed are when the unit was originally built. Please confirm the accuracy of the included equipment by calling the dealer prior to purchase. - **Vehicle Options listed are when the unit was originally built. Please confirm the accuracy of the included equipment by calling the dealer prior to purchase. - **Vehicle Options listed are when the unit was originally built. Please confirm the accuracy of the included equipment by calling the dealer prior to purchase. - **Vehicle Options listed are when the unit was originally built. Please confirm the accuracy of the included equipment by calling the dealer prior to purchase. - **Vehicle Options listed are when the unit was originally built. Please confirm the accuracy of the included equipment by calling the dealer prior to purchase. - **Vehicle Options listed are when the unit was originally built. Please confirm the accuracy of the included equipment by calling the dealer prior to purchase. - **Vehicle Options listed are when the unit was originally built. Please confirm the accuracy of the included equipment by calling the dealer prior to purchase. - **Vehicle Options listed are when the unit was originally built. Please confirm the accuracy of the included equipment by calling the dealer prior to purchase. - **Vehicle Options listed are when the unit was originally built. Please confirm the accuracy of the included equipment by calling the dealer prior to purchase. - **Vehicle Options listed are when the unit was originally built. Please confirm the accuracy of the included equipment by calling the dealer prior to purchase. - **Vehicle Options listed are when the unit was originally built. Please confirm the accuracy of the included equipment by calling the dealer prior to purchase. - **Vehicle Options listed are when the unit was originally built. Please confirm the accuracy of the included equipment by calling the dealer prior to purchase. - **Vehicle Options listed are when the unit was originally built. Please confirm the accuracy of the included equipment by calling the dealer prior to purchase. - **Vehicle Options listed are when the unit was originally built. Please confirm the accuracy of the included equipment by calling the dealer prior to purchase. - **Vehicle Options listed are when the unit was originally built. Please confirm the accuracy of the included equipment by calling the dealer prior to purchase. - **Vehicle Options listed are when the unit was originally built. Please confirm the accuracy of the included equipment by calling the dealer prior to purchase. - **Vehicle Options listed are when the unit was originally built. Please confirm the accuracy of the included equipment by calling the dealer prior to purchase. - **Vehicle Options listed are when the unit was originally built. Please confirm the accuracy of the included equipment by calling the dealer prior to purchase.Polar Silver Metallic 2018 Mercedes-Benz CLA CLA 250 FWD 7 Speed Dual Clutch DCT 2.0L I4 Turbocharged 18 5-Spoke Alloy Wheels, Heated door mirrors, Heated Front Seats, Illuminated entry, Panorama Sunroof.Odometer is 1746 miles below market average! 24/37 City/Highway MPG - **Vehicle Options listed are when the unit was originally built. Please confirm the accuracy of the included equipment by calling the dealer prior to purchase. - **Vehicle Options listed are when the unit was originally built. Please confirm the accuracy of the included equipment by calling the dealer prior to purchase. - **Vehicle Options listed are when the unit was originally built. Please confirm the accuracy of the included equipment by calling the dealer prior to purchase. - **Vehicle Options listed are when the unit was originally built. Please confirm the accuracy of the included equipment by calling the dealer prior to purchase. - **Vehicle Options listed are when the unit was originally built. Please confirm the accuracy of the included equipment by calling the dealer prior to purchase. - **Vehicle Options listed are when the unit was originally built. Please confirm the accuracy of the included equipment by calling the dealer prior to purchase. - **Vehicle Options listed are when the unit was originally built. Please confirm the accuracy of the included equipment by calling the dealer prior to purchase. - **Vehicle Options listed are when the unit was originally built. Please confirm the accuracy of the included equipment by calling the dealer prior to purchase. - **Vehicle Options listed are when the unit was originally built. Please confirm the accuracy of the included equipment by calling the dealer prior to purchase. - **Vehicle Options listed are when the unit was originally built. Please confirm the accuracy of the included equipment by calling the dealer prior to purchase. - **Vehicle Options listed are when the unit was originally built. Please confirm the accuracy of the included equipment by calling the dealer prior to purchase. - **Vehicle Options listed are when the unit was originally built. Please confirm the accuracy of the included equipment by calling the dealer prior to purchase. - **Vehicle Options listed are when the unit was originally built. Please confirm the accuracy of the included equipment by calling the dealer prior to purchase. - **Vehicle Options listed are when the unit was originally built. Please confirm the accuracy of the included equipment by calling the dealer prior to purchase. - **Vehicle Options listed are when the unit was originally built. Please confirm the accuracy of the included equipment by calling the dealer prior to purchase. - **Vehicle Options listed are when the unit was originally built. Please confirm the accuracy of the included equipment by calling the dealer prior to purchase. - **Vehicle Options listed are when the unit was originally built. Please confirm the accuracy of the included equipment by calling the dealer prior to purchase. - **Vehicle Options listed are when the unit was originally built. Please confirm the accuracy of the included equipment by calling the dealer prior to purchase. - **Vehicle Options listed are when the unit was originally built. Please confirm the accuracy of the included equipment by calling the dealer prior to purchase. - **Vehicle Options listed are when the unit was originally built. Please confirm the accuracy of the included equipment by calling the dealer prior to purchase. - **Vehicle Options listed are when the unit was originally built. Please confirm the accuracy of the included equipment by calling the dealer prior to purchase. Polar White 2018 Mercedes-Benz CLA CLA 250 FWD 7 Speed Dual Clutch DCT 2.0L I4 Turbocharged 18 5-Spoke Alloy Wheels, 4-Wheel Disc Brakes, 8 Color Display Upgrade, ABS brakes, Android Auto, Apple CarPlay, Automatic temperature control, Brake assist, Delay-off headlights, Electronic Stability Control, Exterior Parking Camera Rear, Four wheel independent suspension, Front Bucket Seats, Front dual zone A/C, Illuminated entry, Memory seat, Panic alarm, Panorama Sunroof, Power door mirrors, Power driver seat, Radio data system, Radio: Audio 20 CD w/Garmin Navigation Pre-Wiring, Rain sensing wipers, Rear window defroster, Remote keyless entry, Security system, Single CD Player, Smartphone Integration, Smartphone Integration (14U), Speed control, Speed-sensing steering, Split folding rear seat, Telescoping steering wheel, Traction control, Turn signal indicator mirrors, Variably intermittent wipers.Odometer is 1396 miles below market average! 24/37 City/Highway MPG - **Vehicle Options listed are when the unit was originally built. Please confirm the accuracy of the included equipment by calling the dealer prior to purchase. - **Vehicle Options listed are when the unit was originally built. Please confirm the accuracy of the included equipment by calling the dealer prior to purchase. - **Vehicle Options listed are when the unit was originally built. Please confirm the accuracy of the included equipment by calling the dealer prior to purchase. - **Vehicle Options listed are when the unit was originally built. Please confirm the accuracy of the included equipment by calling the dealer prior to purchase. - **Vehicle Options listed are when the unit was originally built. Please confirm the accuracy of the included equipment by calling the dealer prior to purchase. - **Vehicle Options listed are when the unit was originally built. Please confirm the accuracy of the included equipment by calling the dealer prior to purchase. - **Vehicle Options listed are when the unit was originally built. Please confirm the accuracy of the included equipment by calling the dealer prior to purchase. - **Vehicle Options listed are when the unit was originally built. Please confirm the accuracy of the included equipment by calling the dealer prior to purchase. - **Vehicle Options listed are when the unit was originally built. Please confirm the accuracy of the included equipment by calling the dealer prior to purchase. - **Vehicle Options listed are when the unit was originally built. Please confirm the accuracy of the included equipment by calling the dealer prior to purchase. - **Vehicle Options listed are when the unit was originally built. Please confirm the accuracy of the included equipment by calling the dealer prior to purchase. - **Vehicle Options listed are when the unit was originally built. Please confirm the accuracy of the included equipment by calling the dealer prior to purchase. - **Vehicle Options listed are when the unit was originally built. Please confirm the accuracy of the included equipment by calling the dealer prior to purchase. - **Vehicle Options listed are when the unit was originally built. Please confirm the accuracy of the included equipment by calling the dealer prior to purchase. - **Vehicle Options listed are when the unit was originally built. Please confirm the accuracy of the included equipment by calling the dealer prior to purchase. - **Vehicle Options listed are when the unit was originally built. Please confirm the accuracy of the included equipment by calling the dealer prior to purchase. - **Vehicle Options listed are when the unit was originally built. Please confirm the accuracy of the included equipment by calling the dealer prior to purchase. - **Vehicle Options listed are when the unit was originally built. Please confirm the accuracy of the included equipment by calling the dealer prior to purchase. - **Vehicle Options listed are when the unit was originally built. Please confirm the accuracy of the included equipment by calling the dealer prior to purchase. - **Vehicle Options listed are when the unit was originally built. Please confirm the accuracy of the included equipment by calling the dealer prior to purchase. - **Vehicle Options listed are when the unit was originally built. Please confirm the accuracy of the included equipment by calling the dealer prior to purchase.Polar White 2018 Mercedes-Benz CLA CLA 250 FWD 7 Speed Dual Clutch DCT 2.0L I4 Turbocharged 18 5-Spoke Alloy Wheels, 4-Wheel Disc Brakes, 8 Color Display Upgrade, ABS brakes, Android Auto, Apple CarPlay, Automatic temperature control, Brake assist, Delay-off headlights, Electronic Stability Control, Exterior Parking Camera Rear, Four wheel independent suspension, Front Bucket Seats, Front dual zone A/C, Illuminated entry, Memory seat, Panic alarm, Panorama Sunroof, Power door mirrors, Power driver seat, Radio data system, Radio: Audio 20 CD w/Garmin Navigation Pre-Wiring, Rain sensing wipers, Rear window defroster, Remote keyless entry, Security system, Single CD Player, Smartphone Integration, Smartphone Integration (14U), Speed control, Speed-sensing steering, Split folding rear seat, Telescoping steering wheel, Traction control, Turn signal indicator mirrors, Variably intermittent wipers.Odometer is 1396 miles below market average! 24/37 City/Highway MPG - **Vehicle Options listed are when the unit was originally built. Please confirm the accuracy of the included equipment by calling the dealer prior to purchase. - **Vehicle Options listed are when the unit was originally built. Please confirm the accuracy of the included equipment by calling the dealer prior to purchase. - **Vehicle Options listed are when the unit was originally built. Please confirm the accuracy of the included equipment by calling the dealer prior to purchase. - **Vehicle Options listed are when the unit was originally built. Please confirm the accuracy of the included equipment by calling the dealer prior to purchase. - **Vehicle Options listed are when the unit was originally built. Please confirm the accuracy of the included equipment by calling the dealer prior to purchase. - **Vehicle Options listed are when the unit was originally built. Please confirm the accuracy of the included equipment by calling the dealer prior to purchase. - **Vehicle Options listed are when the unit was originally built. Please confirm the accuracy of the included equipment by calling the dealer prior to purchase. - **Vehicle Options listed are when the unit was originally built. Please confirm the accuracy of the included equipment by calling the dealer prior to purchase. - **Vehicle Options listed are when the unit was originally built. Please confirm the accuracy of the included equipment by calling the dealer prior to purchase. - **Vehicle Options listed are when the unit was originally built. Please confirm the accuracy of the included equipment by calling the dealer prior to purchase. - **Vehicle Options listed are when the unit was originally built. Please confirm the accuracy of the included equipment by calling the dealer prior to purchase. - **Vehicle Options listed are when the unit was originally built. Please confirm the accuracy of the included equipment by calling the dealer prior to purchase. - **Vehicle Options listed are when the unit was originally built. Please confirm the accuracy of the included equipment by calling the dealer prior to purchase. - **Vehicle Options listed are when the unit was originally built. Please confirm the accuracy of the included equipment by calling the dealer prior to purchase. - **Vehicle Options listed are when the unit was originally built. Please confirm the accuracy of the included equipment by calling the dealer prior to purchase. - **Vehicle Options listed are when the unit was originally built. Please confirm the accuracy of the included equipment by calling the dealer prior to purchase. - **Vehicle Options listed are when the unit was originally built. Please confirm the accuracy of the included equipment by calling the dealer prior to purchase. - **Vehicle Options listed are when the unit was originally built. Please confirm the accuracy of the included equipment by calling the dealer prior to purchase. - **Vehicle Options listed are when the unit was originally built. Please confirm the accuracy of the included equipment by calling the dealer prior to purchase. - **Vehicle Options listed are when the unit was originally built. Please confirm the accuracy of the included equipment by calling the dealer prior to purchase. - **Vehicle Options listed are when the unit was originally built. Please confirm the accuracy of the included equipment by calling the dealer prior to purchase. Sporty, spacious and sleek, the 2018 Mercedes-Benz C-Class proves there's nothing as elegant as a true athlete. Muscular lines trace a body that's lean, confident and capable. A seamless flow of passion and precision describe its looks, and define its every move. Generously sized and sensuously sculpted, the C-Class cabin is a triumph of form and function. Entertainment, engagement and enjoyment flow freely from intuitive controls and vivid displays. The turbo C 300 and plug-in hybrid C 350e don't just move, they motivate with efficiency and exuberance. They don't just hold the road, they embrace® the joy to be found around every corner. The C 300's new 9G-TRONIC automatic is smoother, sportier and smarter. DYNAMIC SELECT lets you dial in the car's driving character, from energetic Sport mode to easygoing ECO. In the car or out, Mercedes me connects you to your world. Its smartphone app includes Remote Start and far more. It also brings the Internet and WiFi to your car. Five years of mbrace® Connect services are standard. C-Class safety keeps an eye on your future. Radar helps spot hazards in your path. A team of standard and optional systems can monitor all around you, alert you, help you brake, and even respond on your behalf to help reduce collisions. - **Vehicle Options listed are when the unit was originally built. Please confirm the accuracy of the included equipment by calling the dealer prior to purchase. - **Vehicle Options listed are when the unit was originally built. Please confirm the accuracy of the included equipment by calling the dealer prior to purchase. - **Vehicle Options listed are when the unit was originally built. Please confirm the accuracy of the included equipment by calling the dealer prior to purchase. - **Vehicle Options listed are when the unit was originally built. Please confirm the accuracy of the included equipment by calling the dealer prior to purchase. - **Vehicle Options listed are when the unit was originally built. Please confirm the accuracy of the included equipment by calling the dealer prior to purchase. - **Vehicle Options listed are when the unit was originally built. Please confirm the accuracy of the included equipment by calling the dealer prior to purchase. - **Vehicle Options listed are when the unit was originally built. Please confirm the accuracy of the included equipment by calling the dealer prior to purchase. - **Vehicle Options listed are when the unit was originally built. Please confirm the accuracy of the included equipment by calling the dealer prior to purchase. - **Vehicle Options listed are when the unit was originally built. Please confirm the accuracy of the included equipment by calling the dealer prior to purchase. - **Vehicle Options listed are when the unit was originally built. Please confirm the accuracy of the included equipment by calling the dealer prior to purchase. - **Vehicle Options listed are when the unit was originally built. Please confirm the accuracy of the included equipment by calling the dealer prior to purchase. - **Vehicle Options listed are when the unit was originally built. Please confirm the accuracy of the included equipment by calling the dealer prior to purchase. - **Vehicle Options listed are when the unit was originally built. Please confirm the accuracy of the included equipment by calling the dealer prior to purchase.Sporty, spacious and sleek, the 2018 Mercedes-Benz C-Class proves there's nothing as elegant as a true athlete. Muscular lines trace a body that's lean, confident and capable. A seamless flow of passion and precision describe its looks, and define its every move. Generously sized and sensuously sculpted, the C-Class cabin is a triumph of form and function. Entertainment, engagement and enjoyment flow freely from intuitive controls and vivid displays. The turbo C 300 and plug-in hybrid C 350e don't just move, they motivate with efficiency and exuberance. They don't just hold the road, they embrace® the joy to be found around every corner. The C 300's new 9G-TRONIC automatic is smoother, sportier and smarter. DYNAMIC SELECT lets you dial in the car's driving character, from energetic Sport mode to easygoing ECO. In the car or out, Mercedes me connects you to your world. Its smartphone app includes Remote Start and far more. It also brings the Internet and WiFi to your car. Five years of mbrace® Connect services are standard. C-Class safety keeps an eye on your future. Radar helps spot hazards in your path. A team of standard and optional systems can monitor all around you, alert you, help you brake, and even respond on your behalf to help reduce collisions. - **Vehicle Options listed are when the unit was originally built. Please confirm the accuracy of the included equipment by calling the dealer prior to purchase. - **Vehicle Options listed are when the unit was originally built. Please confirm the accuracy of the included equipment by calling the dealer prior to purchase. - **Vehicle Options listed are when the unit was originally built. Please confirm the accuracy of the included equipment by calling the dealer prior to purchase. - **Vehicle Options listed are when the unit was originally built. Please confirm the accuracy of the included equipment by calling the dealer prior to purchase. - **Vehicle Options listed are when the unit was originally built. Please confirm the accuracy of the included equipment by calling the dealer prior to purchase. - **Vehicle Options listed are when the unit was originally built. Please confirm the accuracy of the included equipment by calling the dealer prior to purchase. - **Vehicle Options listed are when the unit was originally built. Please confirm the accuracy of the included equipment by calling the dealer prior to purchase. - **Vehicle Options listed are when the unit was originally built. Please confirm the accuracy of the included equipment by calling the dealer prior to purchase. - **Vehicle Options listed are when the unit was originally built. Please confirm the accuracy of the included equipment by calling the dealer prior to purchase. - **Vehicle Options listed are when the unit was originally built. Please confirm the accuracy of the included equipment by calling the dealer prior to purchase. - **Vehicle Options listed are when the unit was originally built. Please confirm the accuracy of the included equipment by calling the dealer prior to purchase. - **Vehicle Options listed are when the unit was originally built. Please confirm the accuracy of the included equipment by calling the dealer prior to purchase. - **Vehicle Options listed are when the unit was originally built. Please confirm the accuracy of the included equipment by calling the dealer prior to purchase. The muscular body of the 2018 Mercedes-Benz GLC is wind-tunnel-honed and track-toned. A long wheelbase, big wheels and wide track add up to space, stability and sportiness. Crisp proportions and chrome details attract admiring eyes like it's drawn to the road. Venture through wide rear doors to the 40/20/40-split rear seats. Even your luggage rides in luxury, with a standard power liftgate. Sensuous shapes deliver sensible benefits for all your senses, from crisp displays to available voice control. Advanced safety systems and driver assists use radar, cameras and more to help make any journey more comfortable, and more comforting. With racing-bred design and selective damping, the 4-wheel multilink suspension clings to curves yet glides over bumps and is rugged in the rough. Optional multimode AIR BODY CONTROL can lower for loading, raise for ruts. 4MATIC® continually sends the engine's torque to the wheels that can put it to the best use. On slippery roads, it elevates driving confidence. It's lightweight, nimble and fuel-efficient, to enhance handling and fun year-round. GLC safety keeps an eye on your future. A high-tech suite of systems is available to help make every move easier. Some can make traffic less stressful, from cruising to changing lanes. Others can help you find a parking space, then find your way in hands-free. Radar helps spot hazards in your path. A team of standard and optional systems can monitor all around you, alert you, help you brake, and even respond on your behalf to help reduce collisions. - **Vehicle Options listed are when the unit was originally built. Please confirm the accuracy of the included equipment by calling the dealer prior to purchase. - **Vehicle Options listed are when the unit was originally built. Please confirm the accuracy of the included equipment by calling the dealer prior to purchase. - **Vehicle Options listed are when the unit was originally built. Please confirm the accuracy of the included equipment by calling the dealer prior to purchase. - **Vehicle Options listed are when the unit was originally built. Please confirm the accuracy of the included equipment by calling the dealer prior to purchase. - **Vehicle Options listed are when the unit was originally built. Please confirm the accuracy of the included equipment by calling the dealer prior to purchase. - **Vehicle Options listed are when the unit was originally built. Please confirm the accuracy of the included equipment by calling the dealer prior to purchase. - **Vehicle Options listed are when the unit was originally built. Please confirm the accuracy of the included equipment by calling the dealer prior to purchase. - **Vehicle Options listed are when the unit was originally built. Please confirm the accuracy of the included equipment by calling the dealer prior to purchase. - **Vehicle Options listed are when the unit was originally built. Please confirm the accuracy of the included equipment by calling the dealer prior to purchase. - **Vehicle Options listed are when the unit was originally built. Please confirm the accuracy of the included equipment by calling the dealer prior to purchase. - **Vehicle Options listed are when the unit was originally built. Please confirm the accuracy of the included equipment by calling the dealer prior to purchase. - **Vehicle Options listed are when the unit was originally built. Please confirm the accuracy of the included equipment by calling the dealer prior to purchase. - **Vehicle Options listed are when the unit was originally built. Please confirm the accuracy of the included equipment by calling the dealer prior to purchase. - **Vehicle Options listed are when the unit was originally built. Please confirm the accuracy of the included equipment by calling the dealer prior to purchase. - **Vehicle Options listed are when the unit was originally built. Please confirm the accuracy of the included equipment by calling the dealer prior to purchase. - **Vehicle Options listed are when the unit was originally built. Please confirm the accuracy of the included equipment by calling the dealer prior to purchase. - **Vehicle Options listed are when the unit was originally built. Please confirm the accuracy of the included equipment by calling the dealer prior to purchase. - **Vehicle Options listed are when the unit was originally built. Please confirm the accuracy of the included equipment by calling the dealer prior to purchase. - **Vehicle Options listed are when the unit was originally built. Please confirm the accuracy of the included equipment by calling the dealer prior to purchase. - **Vehicle Options listed are when the unit was originally built. Please confirm the accuracy of the included equipment by calling the dealer prior to purchase. - **Vehicle Options listed are when the unit was originally built. Please confirm the accuracy of the included equipment by calling the dealer prior to purchase.The muscular body of the 2018 Mercedes-Benz GLC is wind-tunnel-honed and track-toned. A long wheelbase, big wheels and wide track add up to space, stability and sportiness. Crisp proportions and chrome details attract admiring eyes like it's drawn to the road. Venture through wide rear doors to the 40/20/40-split rear seats. Even your luggage rides in luxury, with a standard power liftgate. Sensuous shapes deliver sensible benefits for all your senses, from crisp displays to available voice control. Advanced safety systems and driver assists use radar, cameras and more to help make any journey more comfortable, and more comforting. With racing-bred design and selective damping, the 4-wheel multilink suspension clings to curves yet glides over bumps and is rugged in the rough. Optional multimode AIR BODY CONTROL can lower for loading, raise for ruts. 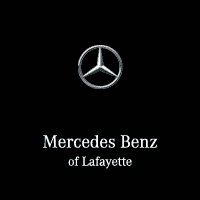 4MATIC® continually sends the engine's torque to the wheels that can put it to the best use. On slippery roads, it elevates driving confidence. It's lightweight, nimble and fuel-efficient, to enhance handling and fun year-round. GLC safety keeps an eye on your future. A high-tech suite of systems is available to help make every move easier. Some can make traffic less stressful, from cruising to changing lanes. Others can help you find a parking space, then find your way in hands-free. Radar helps spot hazards in your path. A team of standard and optional systems can monitor all around you, alert you, help you brake, and even respond on your behalf to help reduce collisions. - **Vehicle Options listed are when the unit was originally built. Please confirm the accuracy of the included equipment by calling the dealer prior to purchase. - **Vehicle Options listed are when the unit was originally built. Please confirm the accuracy of the included equipment by calling the dealer prior to purchase. - **Vehicle Options listed are when the unit was originally built. Please confirm the accuracy of the included equipment by calling the dealer prior to purchase. - **Vehicle Options listed are when the unit was originally built. Please confirm the accuracy of the included equipment by calling the dealer prior to purchase. - **Vehicle Options listed are when the unit was originally built. Please confirm the accuracy of the included equipment by calling the dealer prior to purchase. - **Vehicle Options listed are when the unit was originally built. Please confirm the accuracy of the included equipment by calling the dealer prior to purchase. - **Vehicle Options listed are when the unit was originally built. Please confirm the accuracy of the included equipment by calling the dealer prior to purchase. - **Vehicle Options listed are when the unit was originally built. Please confirm the accuracy of the included equipment by calling the dealer prior to purchase. - **Vehicle Options listed are when the unit was originally built. Please confirm the accuracy of the included equipment by calling the dealer prior to purchase. - **Vehicle Options listed are when the unit was originally built. Please confirm the accuracy of the included equipment by calling the dealer prior to purchase. - **Vehicle Options listed are when the unit was originally built. Please confirm the accuracy of the included equipment by calling the dealer prior to purchase. - **Vehicle Options listed are when the unit was originally built. Please confirm the accuracy of the included equipment by calling the dealer prior to purchase. - **Vehicle Options listed are when the unit was originally built. Please confirm the accuracy of the included equipment by calling the dealer prior to purchase. - **Vehicle Options listed are when the unit was originally built. Please confirm the accuracy of the included equipment by calling the dealer prior to purchase. - **Vehicle Options listed are when the unit was originally built. Please confirm the accuracy of the included equipment by calling the dealer prior to purchase. - **Vehicle Options listed are when the unit was originally built. Please confirm the accuracy of the included equipment by calling the dealer prior to purchase. - **Vehicle Options listed are when the unit was originally built. Please confirm the accuracy of the included equipment by calling the dealer prior to purchase. - **Vehicle Options listed are when the unit was originally built. Please confirm the accuracy of the included equipment by calling the dealer prior to purchase. - **Vehicle Options listed are when the unit was originally built. Please confirm the accuracy of the included equipment by calling the dealer prior to purchase. - **Vehicle Options listed are when the unit was originally built. Please confirm the accuracy of the included equipment by calling the dealer prior to purchase. - **Vehicle Options listed are when the unit was originally built. Please confirm the accuracy of the included equipment by calling the dealer prior to purchase. Black 2018 Mercedes-Benz GLC GLC 300 RWD 9-Speed Automatic 2.0L Turbocharged 115V AC Power Outlet, 18 5-Spoke Wheels, Adaptive suspension, Advanced Parking Assistance Package, Audio 20 w/Single CD, Automatic temperature control, Blind Spot Assist, Brake assist, COMAND® Single CD/DVD, Delay-off headlights, Dual front impact airbags, DVD Coding, Electronic Stability Control, Exterior Parking Camera Rear, Four wheel independent suspension, Front dual zone A/C, HANDS-FREE ACCESS, HANDS-FREE Comfort Package, Heated Front Seats, Illuminated Star, Memory seat, Multimedia Package, Navigation Map Updates For 3 Years, Panic alarm, Panorama Roof, Parking Package, PARKTRONIC w/Active Parking Assist, Power door mirrors, Power driver seat, Premium audio system: COMAND®, Premium Package, Radio: COMAND® System w/Navigation, Rain sensing wipers, Rear window defroster, Rear window wiper, Remote keyless entry, Roof rack: rails only, Security system, SiriusXM Satellite Radio, Speed control, Speed-sensing steering, Surround View Camera System, Telescoping steering wheel, Tilt steering wheel, Touchpad, Traction control, Turn signal indicator mirrors, Variably intermittent wipers.Type your sentence here. Odometer is 8489 miles below market average! 22/28 City/Highway MPG - **Vehicle Options listed are when the unit was originally built. Please confirm the accuracy of the included equipment by calling the dealer prior to purchase. - **Vehicle Options listed are when the unit was originally built. Please confirm the accuracy of the included equipment by calling the dealer prior to purchase. - **Vehicle Options listed are when the unit was originally built. Please confirm the accuracy of the included equipment by calling the dealer prior to purchase. - **Vehicle Options listed are when the unit was originally built. Please confirm the accuracy of the included equipment by calling the dealer prior to purchase. - **Vehicle Options listed are when the unit was originally built. Please confirm the accuracy of the included equipment by calling the dealer prior to purchase. - **Vehicle Options listed are when the unit was originally built. Please confirm the accuracy of the included equipment by calling the dealer prior to purchase. - **Vehicle Options listed are when the unit was originally built. Please confirm the accuracy of the included equipment by calling the dealer prior to purchase. - **Vehicle Options listed are when the unit was originally built. Please confirm the accuracy of the included equipment by calling the dealer prior to purchase. - **Vehicle Options listed are when the unit was originally built. Please confirm the accuracy of the included equipment by calling the dealer prior to purchase. - **Vehicle Options listed are when the unit was originally built. Please confirm the accuracy of the included equipment by calling the dealer prior to purchase. - **Vehicle Options listed are when the unit was originally built. Please confirm the accuracy of the included equipment by calling the dealer prior to purchase. - **Vehicle Options listed are when the unit was originally built. Please confirm the accuracy of the included equipment by calling the dealer prior to purchase. - **Vehicle Options listed are when the unit was originally built. Please confirm the accuracy of the included equipment by calling the dealer prior to purchase. - **Vehicle Options listed are when the unit was originally built. Please confirm the accuracy of the included equipment by calling the dealer prior to purchase. - **Vehicle Options listed are when the unit was originally built. Please confirm the accuracy of the included equipment by calling the dealer prior to purchase. - **Vehicle Options listed are when the unit was originally built. Please confirm the accuracy of the included equipment by calling the dealer prior to purchase. - **Vehicle Options listed are when the unit was originally built. Please confirm the accuracy of the included equipment by calling the dealer prior to purchase. - **Vehicle Options listed are when the unit was originally built. Please confirm the accuracy of the included equipment by calling the dealer prior to purchase. - **Vehicle Options listed are when the unit was originally built. Please confirm the accuracy of the included equipment by calling the dealer prior to purchase. - **Vehicle Options listed are when the unit was originally built. Please confirm the accuracy of the included equipment by calling the dealer prior to purchase. - **Vehicle Options listed are when the unit was originally built. Please confirm the accuracy of the included equipment by calling the dealer prior to purchase.Black 2018 Mercedes-Benz GLC GLC 300 RWD 9-Speed Automatic 2.0L Turbocharged 115V AC Power Outlet, 18 5-Spoke Wheels, Adaptive suspension, Advanced Parking Assistance Package, Audio 20 w/Single CD, Automatic temperature control, Blind Spot Assist, Brake assist, COMAND® Single CD/DVD, Delay-off headlights, Dual front impact airbags, DVD Coding, Electronic Stability Control, Exterior Parking Camera Rear, Four wheel independent suspension, Front dual zone A/C, HANDS-FREE ACCESS, HANDS-FREE Comfort Package, Heated Front Seats, Illuminated Star, Memory seat, Multimedia Package, Navigation Map Updates For 3 Years, Panic alarm, Panorama Roof, Parking Package, PARKTRONIC w/Active Parking Assist, Power door mirrors, Power driver seat, Premium audio system: COMAND®, Premium Package, Radio: COMAND® System w/Navigation, Rain sensing wipers, Rear window defroster, Rear window wiper, Remote keyless entry, Roof rack: rails only, Security system, SiriusXM Satellite Radio, Speed control, Speed-sensing steering, Surround View Camera System, Telescoping steering wheel, Tilt steering wheel, Touchpad, Traction control, Turn signal indicator mirrors, Variably intermittent wipers.Type your sentence here. Odometer is 8489 miles below market average! 22/28 City/Highway MPG - **Vehicle Options listed are when the unit was originally built. Please confirm the accuracy of the included equipment by calling the dealer prior to purchase. - **Vehicle Options listed are when the unit was originally built. Please confirm the accuracy of the included equipment by calling the dealer prior to purchase. - **Vehicle Options listed are when the unit was originally built. Please confirm the accuracy of the included equipment by calling the dealer prior to purchase. - **Vehicle Options listed are when the unit was originally built. Please confirm the accuracy of the included equipment by calling the dealer prior to purchase. - **Vehicle Options listed are when the unit was originally built. Please confirm the accuracy of the included equipment by calling the dealer prior to purchase. - **Vehicle Options listed are when the unit was originally built. Please confirm the accuracy of the included equipment by calling the dealer prior to purchase. - **Vehicle Options listed are when the unit was originally built. Please confirm the accuracy of the included equipment by calling the dealer prior to purchase. - **Vehicle Options listed are when the unit was originally built. Please confirm the accuracy of the included equipment by calling the dealer prior to purchase. - **Vehicle Options listed are when the unit was originally built. Please confirm the accuracy of the included equipment by calling the dealer prior to purchase. - **Vehicle Options listed are when the unit was originally built. Please confirm the accuracy of the included equipment by calling the dealer prior to purchase. - **Vehicle Options listed are when the unit was originally built. Please confirm the accuracy of the included equipment by calling the dealer prior to purchase. - **Vehicle Options listed are when the unit was originally built. Please confirm the accuracy of the included equipment by calling the dealer prior to purchase. - **Vehicle Options listed are when the unit was originally built. Please confirm the accuracy of the included equipment by calling the dealer prior to purchase. - **Vehicle Options listed are when the unit was originally built. Please confirm the accuracy of the included equipment by calling the dealer prior to purchase. - **Vehicle Options listed are when the unit was originally built. Please confirm the accuracy of the included equipment by calling the dealer prior to purchase. - **Vehicle Options listed are when the unit was originally built. Please confirm the accuracy of the included equipment by calling the dealer prior to purchase. - **Vehicle Options listed are when the unit was originally built. Please confirm the accuracy of the included equipment by calling the dealer prior to purchase. - **Vehicle Options listed are when the unit was originally built. Please confirm the accuracy of the included equipment by calling the dealer prior to purchase. - **Vehicle Options listed are when the unit was originally built. Please confirm the accuracy of the included equipment by calling the dealer prior to purchase. - **Vehicle Options listed are when the unit was originally built. Please confirm the accuracy of the included equipment by calling the dealer prior to purchase. - **Vehicle Options listed are when the unit was originally built. Please confirm the accuracy of the included equipment by calling the dealer prior to purchase. New Price! Selenite Gray Metallic 2018 Mercedes-Benz GLE GLE 350 RWD 7G-TRONIC 7-Speed Automatic 3.5L V6 DOHC 24VOdometer is 2823 miles below market average! - **Vehicle Options listed are when the unit was originally built. Please confirm the accuracy of the included equipment by calling the dealer prior to purchase. - **Vehicle Options listed are when the unit was originally built. Please confirm the accuracy of the included equipment by calling the dealer prior to purchase. - **Vehicle Options listed are when the unit was originally built. Please confirm the accuracy of the included equipment by calling the dealer prior to purchase. - **Vehicle Options listed are when the unit was originally built. Please confirm the accuracy of the included equipment by calling the dealer prior to purchase. - **Vehicle Options listed are when the unit was originally built. Please confirm the accuracy of the included equipment by calling the dealer prior to purchase. - **Vehicle Options listed are when the unit was originally built. Please confirm the accuracy of the included equipment by calling the dealer prior to purchase. - **Vehicle Options listed are when the unit was originally built. Please confirm the accuracy of the included equipment by calling the dealer prior to purchase. - **Vehicle Options listed are when the unit was originally built. Please confirm the accuracy of the included equipment by calling the dealer prior to purchase. - **Vehicle Options listed are when the unit was originally built. Please confirm the accuracy of the included equipment by calling the dealer prior to purchase. - **Vehicle Options listed are when the unit was originally built. Please confirm the accuracy of the included equipment by calling the dealer prior to purchase. - **Vehicle Options listed are when the unit was originally built. Please confirm the accuracy of the included equipment by calling the dealer prior to purchase. - **Vehicle Options listed are when the unit was originally built. Please confirm the accuracy of the included equipment by calling the dealer prior to purchase. - **Vehicle Options listed are when the unit was originally built. Please confirm the accuracy of the included equipment by calling the dealer prior to purchase. - **Vehicle Options listed are when the unit was originally built. Please confirm the accuracy of the included equipment by calling the dealer prior to purchase. - **Vehicle Options listed are when the unit was originally built. Please confirm the accuracy of the included equipment by calling the dealer prior to purchase. - **Vehicle Options listed are when the unit was originally built. Please confirm the accuracy of the included equipment by calling the dealer prior to purchase. - **Vehicle Options listed are when the unit was originally built. Please confirm the accuracy of the included equipment by calling the dealer prior to purchase. - **Vehicle Options listed are when the unit was originally built. Please confirm the accuracy of the included equipment by calling the dealer prior to purchase. - **Vehicle Options listed are when the unit was originally built. Please confirm the accuracy of the included equipment by calling the dealer prior to purchase. - **Vehicle Options listed are when the unit was originally built. Please confirm the accuracy of the included equipment by calling the dealer prior to purchase. - **Vehicle Options listed are when the unit was originally built. Please confirm the accuracy of the included equipment by calling the dealer prior to purchase.New Price! Selenite Gray Metallic 2018 Mercedes-Benz GLE GLE 350 RWD 7G-TRONIC 7-Speed Automatic 3.5L V6 DOHC 24VOdometer is 2823 miles below market average! - **Vehicle Options listed are when the unit was originally built. Please confirm the accuracy of the included equipment by calling the dealer prior to purchase. - **Vehicle Options listed are when the unit was originally built. Please confirm the accuracy of the included equipment by calling the dealer prior to purchase. - **Vehicle Options listed are when the unit was originally built. Please confirm the accuracy of the included equipment by calling the dealer prior to purchase. - **Vehicle Options listed are when the unit was originally built. Please confirm the accuracy of the included equipment by calling the dealer prior to purchase. - **Vehicle Options listed are when the unit was originally built. Please confirm the accuracy of the included equipment by calling the dealer prior to purchase. - **Vehicle Options listed are when the unit was originally built. Please confirm the accuracy of the included equipment by calling the dealer prior to purchase. - **Vehicle Options listed are when the unit was originally built. Please confirm the accuracy of the included equipment by calling the dealer prior to purchase. - **Vehicle Options listed are when the unit was originally built. Please confirm the accuracy of the included equipment by calling the dealer prior to purchase. - **Vehicle Options listed are when the unit was originally built. Please confirm the accuracy of the included equipment by calling the dealer prior to purchase. - **Vehicle Options listed are when the unit was originally built. Please confirm the accuracy of the included equipment by calling the dealer prior to purchase. - **Vehicle Options listed are when the unit was originally built. Please confirm the accuracy of the included equipment by calling the dealer prior to purchase. - **Vehicle Options listed are when the unit was originally built. Please confirm the accuracy of the included equipment by calling the dealer prior to purchase. - **Vehicle Options listed are when the unit was originally built. Please confirm the accuracy of the included equipment by calling the dealer prior to purchase. - **Vehicle Options listed are when the unit was originally built. Please confirm the accuracy of the included equipment by calling the dealer prior to purchase. - **Vehicle Options listed are when the unit was originally built. Please confirm the accuracy of the included equipment by calling the dealer prior to purchase. - **Vehicle Options listed are when the unit was originally built. Please confirm the accuracy of the included equipment by calling the dealer prior to purchase. - **Vehicle Options listed are when the unit was originally built. Please confirm the accuracy of the included equipment by calling the dealer prior to purchase. - **Vehicle Options listed are when the unit was originally built. Please confirm the accuracy of the included equipment by calling the dealer prior to purchase. - **Vehicle Options listed are when the unit was originally built. Please confirm the accuracy of the included equipment by calling the dealer prior to purchase. - **Vehicle Options listed are when the unit was originally built. Please confirm the accuracy of the included equipment by calling the dealer prior to purchase. - **Vehicle Options listed are when the unit was originally built. Please confirm the accuracy of the included equipment by calling the dealer prior to purchase. This isn't just the most advanced E-Class yet. With technologies never before offered on a production car, the 2018 Mercedes-Benz E-Class writes a new chapter in the story of driving. Athletically elegant outside, it's in the E-Class cabin where your senses come alive. Vivid screens and flowing shapes entice the eyes. And from multitouch controls to aromatherapy and a hot stone massage, wherever you touch, it caresses you back. The E-Class cabin flows with the contours of nature. Fine-tailored seats are sculpted to match the muscles in your body. Exotic yet sustainable woods sweep door-to-door, their natural glow edge-lit by 64-color LED ambience. A panoramic 12.3-inch screen unites navigation, entertainment and countless comfort features. Groundbreaking Car-to-X technology connects your E-Class to a central information resource, to send you in-car updates about driving conditions before you get to them. Your car can also report hazards, to help other drivers with Car-to-X. PRESAFE® Impulse Side is a industry first that can help prepare you for an impending side impact. By rapidly inflating the front-seat bolster, it can move you further from an intrusion and help reduce the forces of impact. - **Vehicle Options listed are when the unit was originally built. Please confirm the accuracy of the included equipment by calling the dealer prior to purchase. - **Vehicle Options listed are when the unit was originally built. Please confirm the accuracy of the included equipment by calling the dealer prior to purchase. - **Vehicle Options listed are when the unit was originally built. Please confirm the accuracy of the included equipment by calling the dealer prior to purchase. - **Vehicle Options listed are when the unit was originally built. Please confirm the accuracy of the included equipment by calling the dealer prior to purchase. - **Vehicle Options listed are when the unit was originally built. Please confirm the accuracy of the included equipment by calling the dealer prior to purchase. - **Vehicle Options listed are when the unit was originally built. Please confirm the accuracy of the included equipment by calling the dealer prior to purchase. - **Vehicle Options listed are when the unit was originally built. Please confirm the accuracy of the included equipment by calling the dealer prior to purchase. - **Vehicle Options listed are when the unit was originally built. Please confirm the accuracy of the included equipment by calling the dealer prior to purchase. - **Vehicle Options listed are when the unit was originally built. Please confirm the accuracy of the included equipment by calling the dealer prior to purchase. - **Vehicle Options listed are when the unit was originally built. Please confirm the accuracy of the included equipment by calling the dealer prior to purchase. - **Vehicle Options listed are when the unit was originally built. Please confirm the accuracy of the included equipment by calling the dealer prior to purchase. - **Vehicle Options listed are when the unit was originally built. Please confirm the accuracy of the included equipment by calling the dealer prior to purchase. - **Vehicle Options listed are when the unit was originally built. Please confirm the accuracy of the included equipment by calling the dealer prior to purchase.This isn't just the most advanced E-Class yet. With technologies never before offered on a production car, the 2018 Mercedes-Benz E-Class writes a new chapter in the story of driving. Athletically elegant outside, it's in the E-Class cabin where your senses come alive. Vivid screens and flowing shapes entice the eyes. And from multitouch controls to aromatherapy and a hot stone massage, wherever you touch, it caresses you back. The E-Class cabin flows with the contours of nature. Fine-tailored seats are sculpted to match the muscles in your body. Exotic yet sustainable woods sweep door-to-door, their natural glow edge-lit by 64-color LED ambience. A panoramic 12.3-inch screen unites navigation, entertainment and countless comfort features. Groundbreaking Car-to-X technology connects your E-Class to a central information resource, to send you in-car updates about driving conditions before you get to them. Your car can also report hazards, to help other drivers with Car-to-X. PRESAFE® Impulse Side is a industry first that can help prepare you for an impending side impact. By rapidly inflating the front-seat bolster, it can move you further from an intrusion and help reduce the forces of impact. - **Vehicle Options listed are when the unit was originally built. Please confirm the accuracy of the included equipment by calling the dealer prior to purchase. - **Vehicle Options listed are when the unit was originally built. Please confirm the accuracy of the included equipment by calling the dealer prior to purchase. - **Vehicle Options listed are when the unit was originally built. Please confirm the accuracy of the included equipment by calling the dealer prior to purchase. - **Vehicle Options listed are when the unit was originally built. Please confirm the accuracy of the included equipment by calling the dealer prior to purchase. - **Vehicle Options listed are when the unit was originally built. Please confirm the accuracy of the included equipment by calling the dealer prior to purchase. - **Vehicle Options listed are when the unit was originally built. Please confirm the accuracy of the included equipment by calling the dealer prior to purchase. - **Vehicle Options listed are when the unit was originally built. Please confirm the accuracy of the included equipment by calling the dealer prior to purchase. - **Vehicle Options listed are when the unit was originally built. Please confirm the accuracy of the included equipment by calling the dealer prior to purchase. - **Vehicle Options listed are when the unit was originally built. Please confirm the accuracy of the included equipment by calling the dealer prior to purchase. - **Vehicle Options listed are when the unit was originally built. Please confirm the accuracy of the included equipment by calling the dealer prior to purchase. - **Vehicle Options listed are when the unit was originally built. Please confirm the accuracy of the included equipment by calling the dealer prior to purchase. - **Vehicle Options listed are when the unit was originally built. Please confirm the accuracy of the included equipment by calling the dealer prior to purchase. - **Vehicle Options listed are when the unit was originally built. Please confirm the accuracy of the included equipment by calling the dealer prior to purchase. The premium SUV that invented its class 20 years years ago still leads the way in every arena of driving, and from every angle of its design. From its iconic Star to its sleek LED taillamps, the 2018 GLE keeps the future looking brighter. Distinctive LED Daytime Running Lamps catch the eye as their glowing arc sweeps into the sculpted profile. The athleticism of the GLE is evident in its solid stance. Wheels range from substantial 18-inch or 19-inch designs to supersized 20-inch AMG® alloys. Advanced power options, agile handling, and easily adaptable cabin and cargo space make the GLE the right vehicle for whatever you're doing, right now and down the road. Standard on most GLE models, 4MATIC® sends torque to the wheels that can use it best. On slippery roads, it adds all-wheel driving confidence. In dry corners, it adds fun. Light, nimble and efficient, you'll enjoy its benefits year-round. The GLE invites five adults to enjoy generous room and gracious comfort. It'll welcome over 80cu.ft. of cargo with a standard power liftgate and 60/40 split-folding rear seats. A team of advancements boost safety, reduce stress, and help smooth every move. Active Brake Assist can help you avoid a collision. A GLE can fend off crosswinds and prepare for front, rear and rollover accidents. Optional Distance Pilot DISTRONIC adaptive cruise control can even guide you with Steering Pilot. - **Vehicle Options listed are when the unit was originally built. Please confirm the accuracy of the included equipment by calling the dealer prior to purchase. - **Vehicle Options listed are when the unit was originally built. Please confirm the accuracy of the included equipment by calling the dealer prior to purchase. - **Vehicle Options listed are when the unit was originally built. Please confirm the accuracy of the included equipment by calling the dealer prior to purchase. - **Vehicle Options listed are when the unit was originally built. Please confirm the accuracy of the included equipment by calling the dealer prior to purchase. - **Vehicle Options listed are when the unit was originally built. Please confirm the accuracy of the included equipment by calling the dealer prior to purchase. - **Vehicle Options listed are when the unit was originally built. Please confirm the accuracy of the included equipment by calling the dealer prior to purchase. - **Vehicle Options listed are when the unit was originally built. Please confirm the accuracy of the included equipment by calling the dealer prior to purchase. - **Vehicle Options listed are when the unit was originally built. Please confirm the accuracy of the included equipment by calling the dealer prior to purchase. - **Vehicle Options listed are when the unit was originally built. Please confirm the accuracy of the included equipment by calling the dealer prior to purchase. - **Vehicle Options listed are when the unit was originally built. Please confirm the accuracy of the included equipment by calling the dealer prior to purchase. - **Vehicle Options listed are when the unit was originally built. Please confirm the accuracy of the included equipment by calling the dealer prior to purchase. - **Vehicle Options listed are when the unit was originally built. Please confirm the accuracy of the included equipment by calling the dealer prior to purchase. - **Vehicle Options listed are when the unit was originally built. Please confirm the accuracy of the included equipment by calling the dealer prior to purchase. - **Vehicle Options listed are when the unit was originally built. Please confirm the accuracy of the included equipment by calling the dealer prior to purchase. - **Vehicle Options listed are when the unit was originally built. Please confirm the accuracy of the included equipment by calling the dealer prior to purchase. - **Vehicle Options listed are when the unit was originally built. Please confirm the accuracy of the included equipment by calling the dealer prior to purchase. - **Vehicle Options listed are when the unit was originally built. Please confirm the accuracy of the included equipment by calling the dealer prior to purchase. - **Vehicle Options listed are when the unit was originally built. Please confirm the accuracy of the included equipment by calling the dealer prior to purchase. - **Vehicle Options listed are when the unit was originally built. Please confirm the accuracy of the included equipment by calling the dealer prior to purchase.The premium SUV that invented its class 20 years years ago still leads the way in every arena of driving, and from every angle of its design. From its iconic Star to its sleek LED taillamps, the 2018 GLE keeps the future looking brighter. Distinctive LED Daytime Running Lamps catch the eye as their glowing arc sweeps into the sculpted profile. The athleticism of the GLE is evident in its solid stance. Wheels range from substantial 18-inch or 19-inch designs to supersized 20-inch AMG® alloys. Advanced power options, agile handling, and easily adaptable cabin and cargo space make the GLE the right vehicle for whatever you're doing, right now and down the road. Standard on most GLE models, 4MATIC® sends torque to the wheels that can use it best. On slippery roads, it adds all-wheel driving confidence. In dry corners, it adds fun. Light, nimble and efficient, you'll enjoy its benefits year-round. The GLE invites five adults to enjoy generous room and gracious comfort. It'll welcome over 80cu.ft. of cargo with a standard power liftgate and 60/40 split-folding rear seats. A team of advancements boost safety, reduce stress, and help smooth every move. Active Brake Assist can help you avoid a collision. A GLE can fend off crosswinds and prepare for front, rear and rollover accidents. Optional Distance Pilot DISTRONIC adaptive cruise control can even guide you with Steering Pilot. - **Vehicle Options listed are when the unit was originally built. Please confirm the accuracy of the included equipment by calling the dealer prior to purchase. - **Vehicle Options listed are when the unit was originally built. Please confirm the accuracy of the included equipment by calling the dealer prior to purchase. - **Vehicle Options listed are when the unit was originally built. Please confirm the accuracy of the included equipment by calling the dealer prior to purchase. - **Vehicle Options listed are when the unit was originally built. Please confirm the accuracy of the included equipment by calling the dealer prior to purchase. - **Vehicle Options listed are when the unit was originally built. Please confirm the accuracy of the included equipment by calling the dealer prior to purchase. - **Vehicle Options listed are when the unit was originally built. Please confirm the accuracy of the included equipment by calling the dealer prior to purchase. - **Vehicle Options listed are when the unit was originally built. Please confirm the accuracy of the included equipment by calling the dealer prior to purchase. - **Vehicle Options listed are when the unit was originally built. Please confirm the accuracy of the included equipment by calling the dealer prior to purchase. - **Vehicle Options listed are when the unit was originally built. Please confirm the accuracy of the included equipment by calling the dealer prior to purchase. - **Vehicle Options listed are when the unit was originally built. Please confirm the accuracy of the included equipment by calling the dealer prior to purchase. - **Vehicle Options listed are when the unit was originally built. Please confirm the accuracy of the included equipment by calling the dealer prior to purchase. - **Vehicle Options listed are when the unit was originally built. Please confirm the accuracy of the included equipment by calling the dealer prior to purchase. - **Vehicle Options listed are when the unit was originally built. Please confirm the accuracy of the included equipment by calling the dealer prior to purchase. - **Vehicle Options listed are when the unit was originally built. Please confirm the accuracy of the included equipment by calling the dealer prior to purchase. - **Vehicle Options listed are when the unit was originally built. Please confirm the accuracy of the included equipment by calling the dealer prior to purchase. - **Vehicle Options listed are when the unit was originally built. Please confirm the accuracy of the included equipment by calling the dealer prior to purchase. - **Vehicle Options listed are when the unit was originally built. Please confirm the accuracy of the included equipment by calling the dealer prior to purchase. - **Vehicle Options listed are when the unit was originally built. Please confirm the accuracy of the included equipment by calling the dealer prior to purchase. - **Vehicle Options listed are when the unit was originally built. Please confirm the accuracy of the included equipment by calling the dealer prior to purchase. The premium SUV that invented its class 20 years years ago still leads the way in every arena of driving, and from every angle of its design. From its iconic Star to its sleek LED taillamps, the 2018 GLE keeps the future looking brighter. Distinctive LED Daytime Running Lamps catch the eye as their glowing arc sweeps into the sculpted profile. The athleticism of the GLE is evident in its solid stance. Wheels range from substantial 18-inch or 19-inch designs to supersized 20-inch AMG® alloys. Advanced power options, agile handling, and easily adaptable cabin and cargo space make the GLE the right vehicle for whatever you're doing, right now and down the road. Standard on most GLE models, 4MATIC® sends torque to the wheels that can use it best. On slippery roads, it adds all-wheel driving confidence. In dry corners, it adds fun. Light, nimble and efficient, you'll enjoy its benefits year-round. The GLE invites five adults to enjoy generous room and gracious comfort. It'll welcome over 80cu.ft. of cargo with a standard power liftgate and 60/40 split-folding rear seats. A team of advancements boost safety, reduce stress, and help smooth every move. Active Brake Assist can help you avoid a collision. A GLE can fend off crosswinds and prepare for front, rear and rollover accidents. Optional Distance Pilot DISTRONIC adaptive cruise control can even guide you with Steering Pilot. - **Vehicle Options listed are when the unit was originally built. Please confirm the accuracy of the included equipment by calling the dealer prior to purchase. - **Vehicle Options listed are when the unit was originally built. Please confirm the accuracy of the included equipment by calling the dealer prior to purchase. - **Vehicle Options listed are when the unit was originally built. Please confirm the accuracy of the included equipment by calling the dealer prior to purchase. - **Vehicle Options listed are when the unit was originally built. Please confirm the accuracy of the included equipment by calling the dealer prior to purchase. - **Vehicle Options listed are when the unit was originally built. Please confirm the accuracy of the included equipment by calling the dealer prior to purchase. - **Vehicle Options listed are when the unit was originally built. Please confirm the accuracy of the included equipment by calling the dealer prior to purchase. - **Vehicle Options listed are when the unit was originally built. Please confirm the accuracy of the included equipment by calling the dealer prior to purchase. - **Vehicle Options listed are when the unit was originally built. Please confirm the accuracy of the included equipment by calling the dealer prior to purchase. - **Vehicle Options listed are when the unit was originally built. Please confirm the accuracy of the included equipment by calling the dealer prior to purchase. - **Vehicle Options listed are when the unit was originally built. Please confirm the accuracy of the included equipment by calling the dealer prior to purchase. - **Vehicle Options listed are when the unit was originally built. Please confirm the accuracy of the included equipment by calling the dealer prior to purchase. - **Vehicle Options listed are when the unit was originally built. Please confirm the accuracy of the included equipment by calling the dealer prior to purchase. - **Vehicle Options listed are when the unit was originally built. Please confirm the accuracy of the included equipment by calling the dealer prior to purchase. - **Vehicle Options listed are when the unit was originally built. Please confirm the accuracy of the included equipment by calling the dealer prior to purchase. - **Vehicle Options listed are when the unit was originally built. Please confirm the accuracy of the included equipment by calling the dealer prior to purchase. - **Vehicle Options listed are when the unit was originally built. Please confirm the accuracy of the included equipment by calling the dealer prior to purchase. - **Vehicle Options listed are when the unit was originally built. Please confirm the accuracy of the included equipment by calling the dealer prior to purchase. - **Vehicle Options listed are when the unit was originally built. Please confirm the accuracy of the included equipment by calling the dealer prior to purchase. - **Vehicle Options listed are when the unit was originally built. Please confirm the accuracy of the included equipment by calling the dealer prior to purchase. - **Vehicle Options listed are when the unit was originally built. Please confirm the accuracy of the included equipment by calling the dealer prior to purchase. - **Vehicle Options listed are when the unit was originally built. Please confirm the accuracy of the included equipment by calling the dealer prior to purchase.The premium SUV that invented its class 20 years years ago still leads the way in every arena of driving, and from every angle of its design. From its iconic Star to its sleek LED taillamps, the 2018 GLE keeps the future looking brighter. Distinctive LED Daytime Running Lamps catch the eye as their glowing arc sweeps into the sculpted profile. The athleticism of the GLE is evident in its solid stance. Wheels range from substantial 18-inch or 19-inch designs to supersized 20-inch AMG® alloys. Advanced power options, agile handling, and easily adaptable cabin and cargo space make the GLE the right vehicle for whatever you're doing, right now and down the road. Standard on most GLE models, 4MATIC® sends torque to the wheels that can use it best. On slippery roads, it adds all-wheel driving confidence. In dry corners, it adds fun. Light, nimble and efficient, you'll enjoy its benefits year-round. The GLE invites five adults to enjoy generous room and gracious comfort. It'll welcome over 80cu.ft. of cargo with a standard power liftgate and 60/40 split-folding rear seats. A team of advancements boost safety, reduce stress, and help smooth every move. Active Brake Assist can help you avoid a collision. A GLE can fend off crosswinds and prepare for front, rear and rollover accidents. Optional Distance Pilot DISTRONIC adaptive cruise control can even guide you with Steering Pilot. - **Vehicle Options listed are when the unit was originally built. Please confirm the accuracy of the included equipment by calling the dealer prior to purchase. - **Vehicle Options listed are when the unit was originally built. Please confirm the accuracy of the included equipment by calling the dealer prior to purchase. - **Vehicle Options listed are when the unit was originally built. Please confirm the accuracy of the included equipment by calling the dealer prior to purchase. - **Vehicle Options listed are when the unit was originally built. Please confirm the accuracy of the included equipment by calling the dealer prior to purchase. - **Vehicle Options listed are when the unit was originally built. Please confirm the accuracy of the included equipment by calling the dealer prior to purchase. - **Vehicle Options listed are when the unit was originally built. Please confirm the accuracy of the included equipment by calling the dealer prior to purchase. - **Vehicle Options listed are when the unit was originally built. Please confirm the accuracy of the included equipment by calling the dealer prior to purchase. - **Vehicle Options listed are when the unit was originally built. Please confirm the accuracy of the included equipment by calling the dealer prior to purchase. - **Vehicle Options listed are when the unit was originally built. Please confirm the accuracy of the included equipment by calling the dealer prior to purchase. - **Vehicle Options listed are when the unit was originally built. Please confirm the accuracy of the included equipment by calling the dealer prior to purchase. - **Vehicle Options listed are when the unit was originally built. Please confirm the accuracy of the included equipment by calling the dealer prior to purchase. - **Vehicle Options listed are when the unit was originally built. Please confirm the accuracy of the included equipment by calling the dealer prior to purchase. - **Vehicle Options listed are when the unit was originally built. Please confirm the accuracy of the included equipment by calling the dealer prior to purchase. - **Vehicle Options listed are when the unit was originally built. Please confirm the accuracy of the included equipment by calling the dealer prior to purchase. - **Vehicle Options listed are when the unit was originally built. Please confirm the accuracy of the included equipment by calling the dealer prior to purchase. - **Vehicle Options listed are when the unit was originally built. Please confirm the accuracy of the included equipment by calling the dealer prior to purchase. - **Vehicle Options listed are when the unit was originally built. Please confirm the accuracy of the included equipment by calling the dealer prior to purchase. - **Vehicle Options listed are when the unit was originally built. Please confirm the accuracy of the included equipment by calling the dealer prior to purchase. - **Vehicle Options listed are when the unit was originally built. Please confirm the accuracy of the included equipment by calling the dealer prior to purchase. - **Vehicle Options listed are when the unit was originally built. Please confirm the accuracy of the included equipment by calling the dealer prior to purchase. - **Vehicle Options listed are when the unit was originally built. Please confirm the accuracy of the included equipment by calling the dealer prior to purchase.